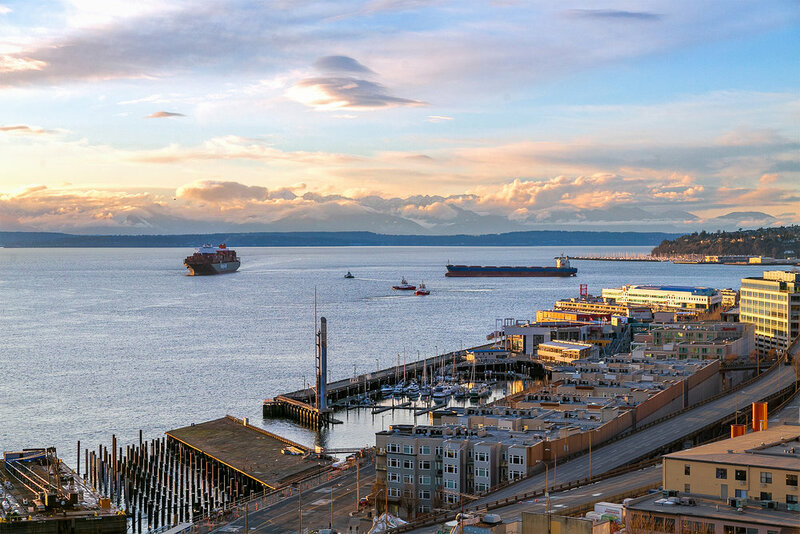 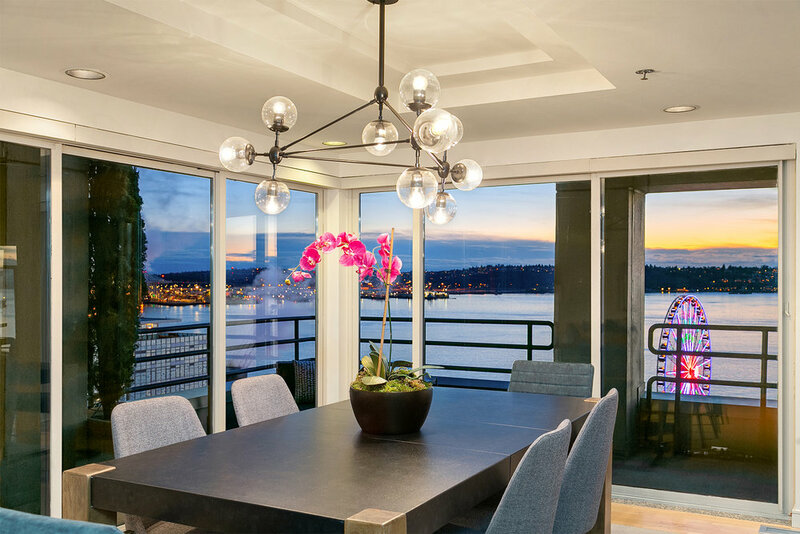 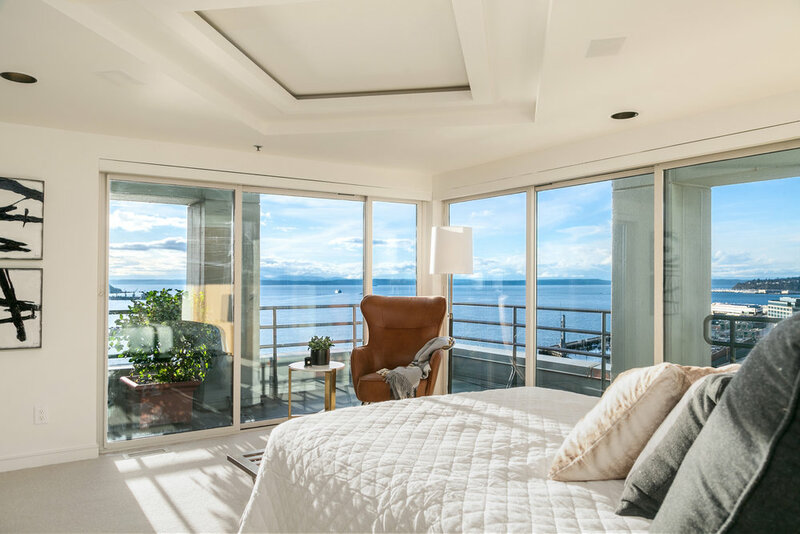 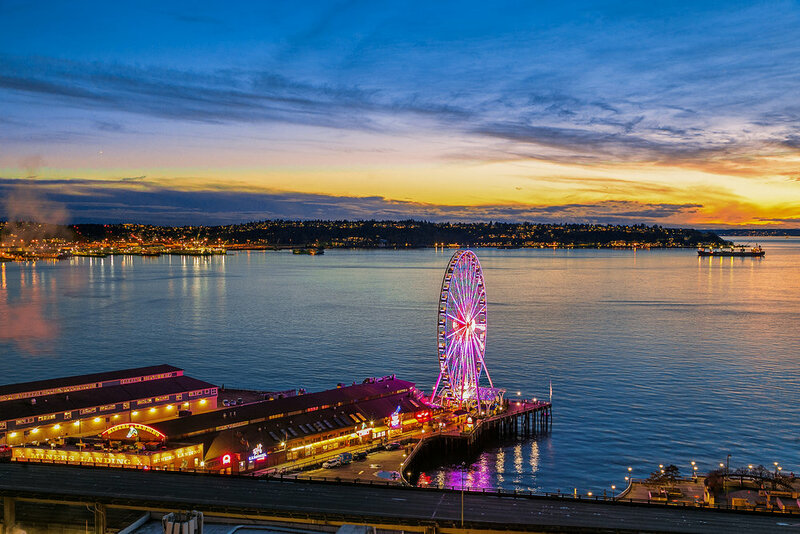 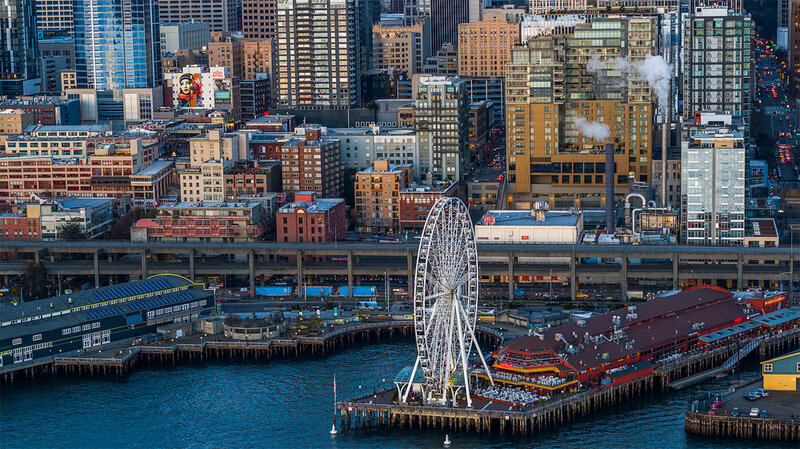 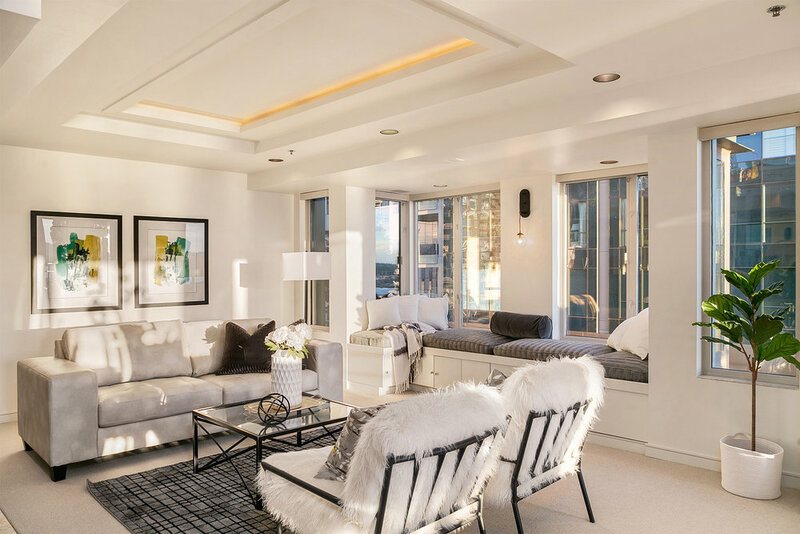 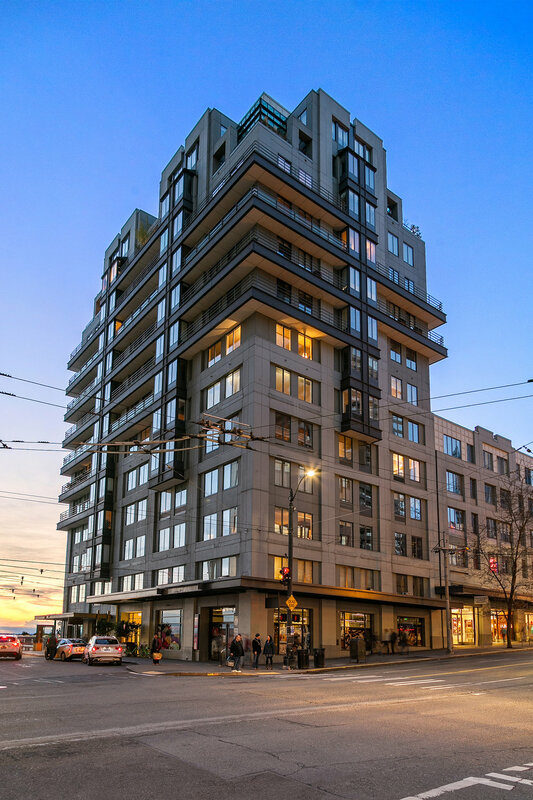 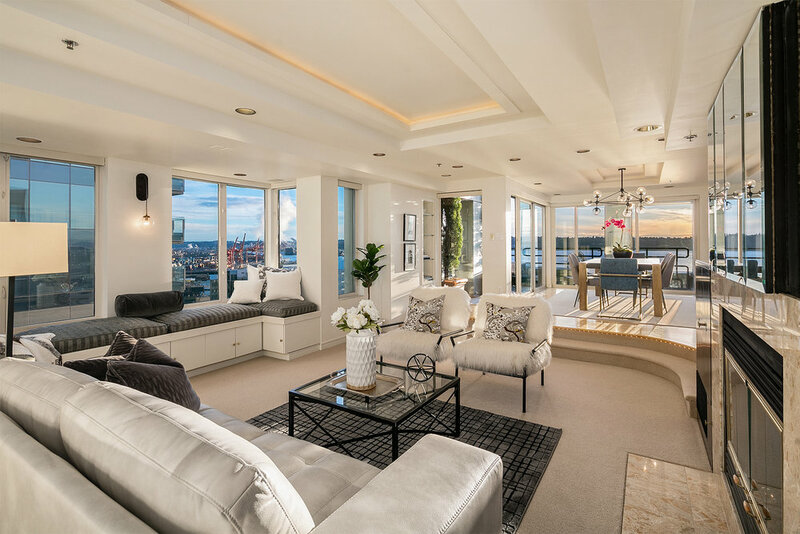 Luxury living and convenience is defined by this downtown penthouse at 98 Union Street with uninterrupted panoramic waterfront views and sunsets that include iconic Seattle landmarks. 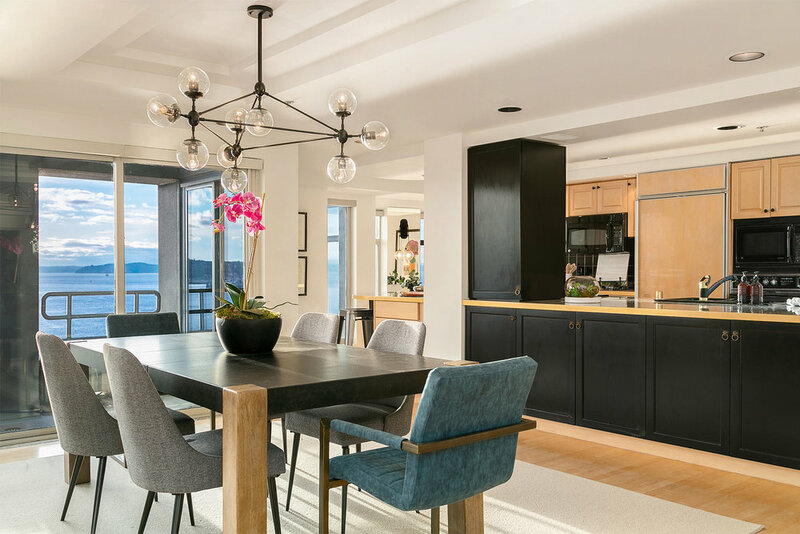 There are two expansive wraparound terraces at each corner of the building that capture views of the city, Elliott Bay, and Olympic Mountains that bring the outside into this 2,181 square foot residence above the Emerald City. 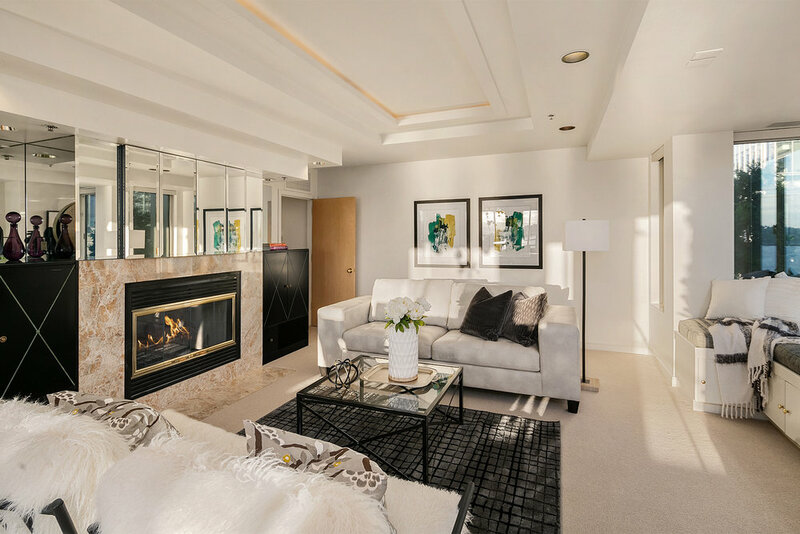 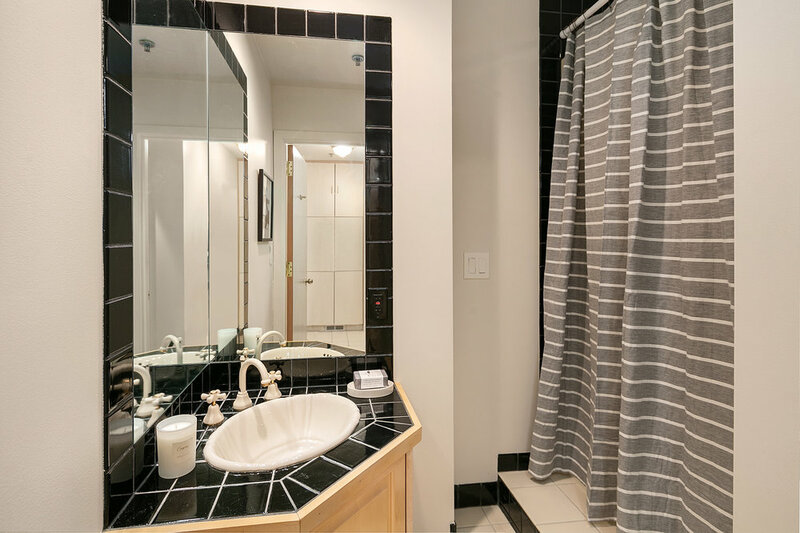 The home includes 3 bedrooms, 2.5 bathrooms, 3 private terraces with different exposures, a laundry room, ample storage, and 2 parking spaces in a secure garage. 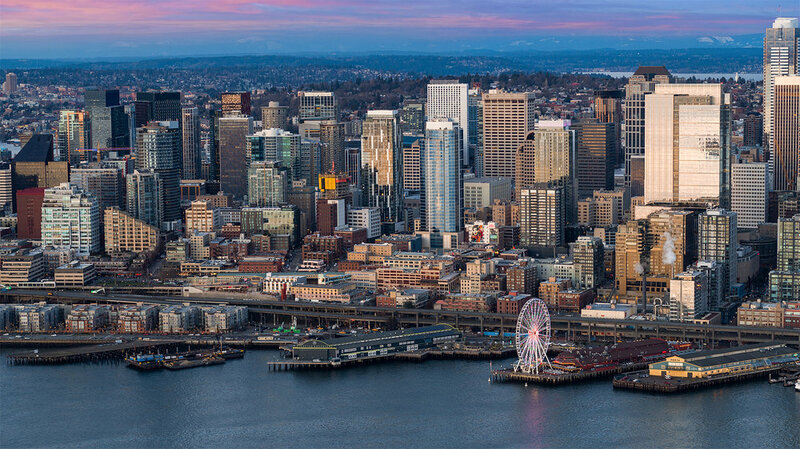 The 98 Union building designed by Olson Kundig includes a secured lobby with Concierge located in the heart of downtown Seattle’s urban core and is steps to Pike Place Market, Seattle Art Museum exhibitions, Benaroya Symphony Hall, Four Seasons, central waterfront, Convention Center, and world-class dining, shopping and entertainment. 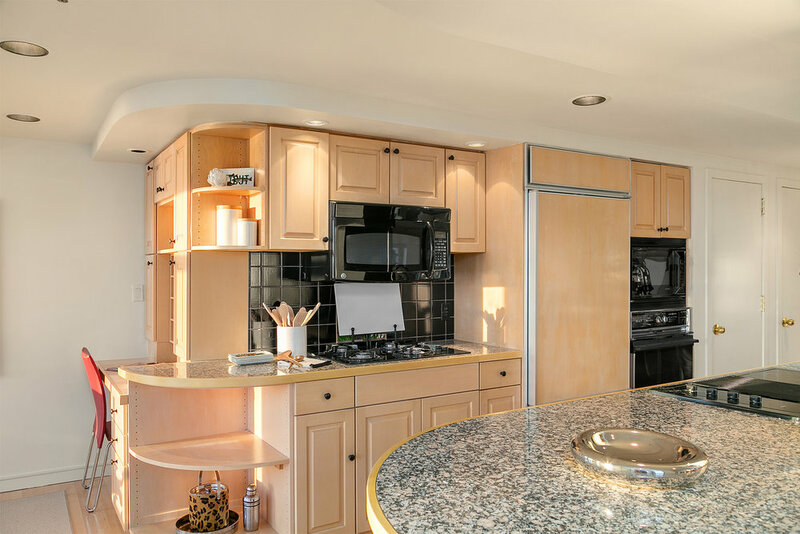 Resale Certificate & Home Inspection available upon request. 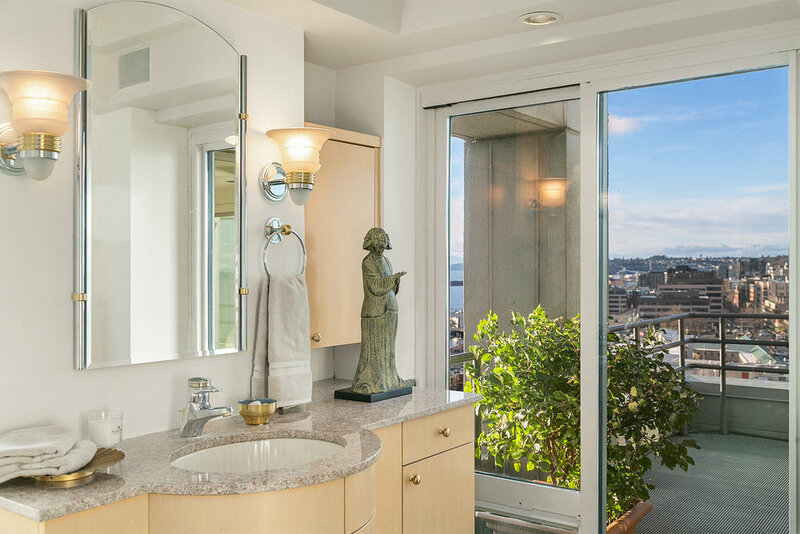 Rental Income Forecast & Property Management Plan available upon request. 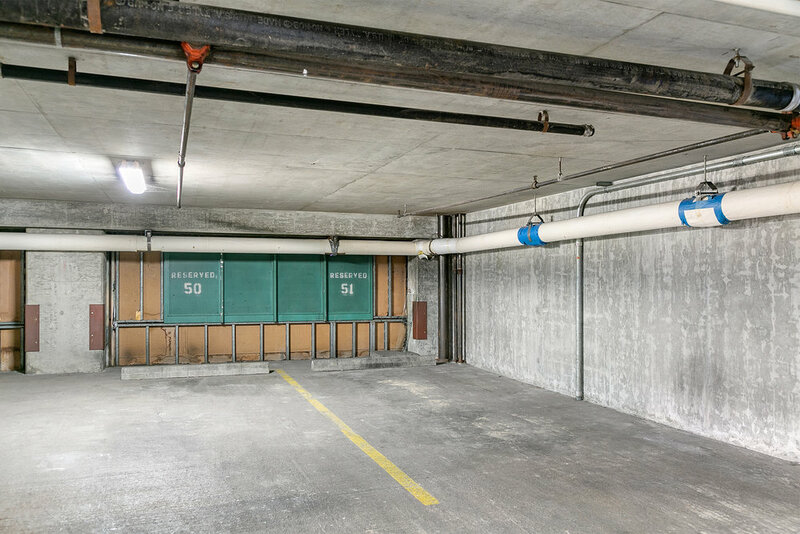 Includes concierge, water/sewer, garbage, gas, cable TV, internet, common area maintenance, and earthquake insurance. 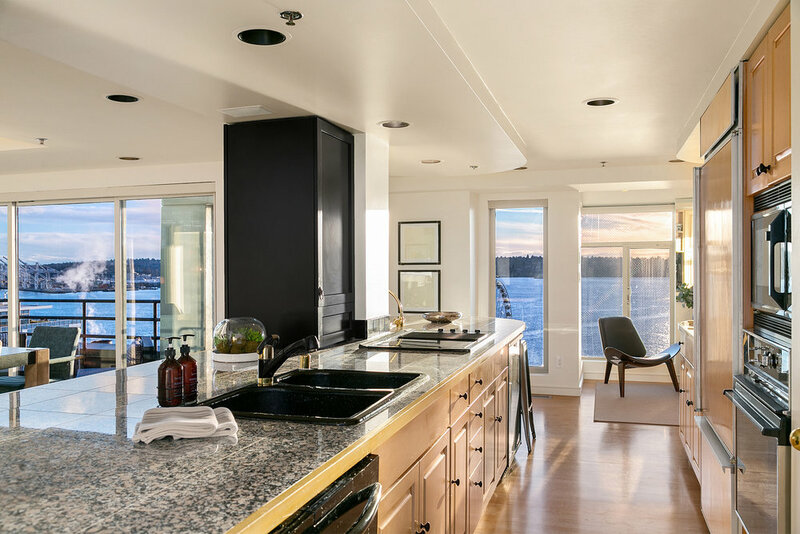 My experienced team, Freeman Northwest Properties, LLC, is available to assist you in buying or selling whether it's around the corner or around the world; we are committed to offering you the expert advice you deserve.